The upcoming African Cup of Nations, AFCON, will be hosted by Egypt, the Confederation of African Football, CAF; announced on Tuesday after a high level meeting. 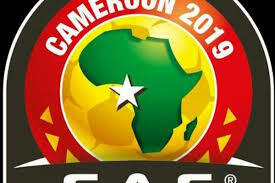 The race was between Egypt and South Africa, who submitted candidacies late last year after CAF stripped Cameroon of the hosting rights. Cameroon was stripped of the rights because of their inability to put together infrastructure in time and also due to security threats in parts of the country. CAF Executive Committee members were initially set to vote in Dakar on Wednesday but opted to do so 24 hours earlier and hours to the 2018 CAF Awards also taking place in the Senegalese capital today, January 8. South Africa has extensive infrastructure built when they hosted the first World Cup in Africa in 2010. Watchers however expressed reservations about the low South African patronage of other teams. Egypt also has extensive football facilities, although in recent years attendances at local matches have been restricted because of security concerns in the wake of the Arab Spring revolution and Tahir Square demonstrations. Morocco had been the favourite to step in after repeatedly promising to do so if needed but then surprisingly said it was not interested once Cameroon was stripped of hosting rights. It is the first time the tournament will be played mid-year away from the traditional January – February date. It will last between June 15 to July 13, 2019. It will also be the first time there will be 24 participating teams.